AuScope’s funder, the Department of Training and Education today announced $5M to replace AuScope’s Sensitive High-Resolution Ion MicroProbe (SHRIMP) instrument at the John de Laeter Centre (JdLC) of Curtin University in Perth. 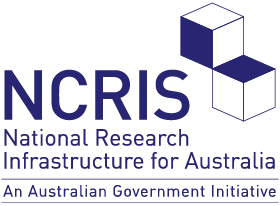 The funding, made available through the National Collaborative Research Infrastructure Strategy (NCRIS), allows AuScope to continue to enable research and innovation for a highly productive and successful instrument that is currently experiencing anomalously high ‘end-of-life’ maintenance costs and instrument downtime after 25 years of continuous use. “This is a fantastic outcome that will allow the SHRIMP instrument, which has been operating continuously at the John de Laeter Centre for a quarter of a century now, to be replaced. JdLC’s SHRIMP has been responsible for 875 academic publications that have been cited over 88,000 times (Google Scholar, 2019). It has been used to date multiple mineral and petroleum systems of Australia, providing critical regional geological information that has stimulated exploration investment. It has also been instrumental in the discovery of the oldest minerals on Earth (Wilde et al., 2001), Mars and the Moon (Rasmussen et al., 2008). “The SHRIMP instrument platform is an iconic Australian invention that has revolutionised geoscience research in Australia and around the world. It is a ‘time machine’ that has supported new scientific discoveries and reshaped the geological map of Australia for over a quarter of a century. AuScope’s SHRIMP instrument forms part of the Earth Composition and Evolution infrastructure located across Curtin University, The University of Melbourne and Macquarie University. Read Curtin University’s media release and a story about one of the existing SHRIMP’s feats.